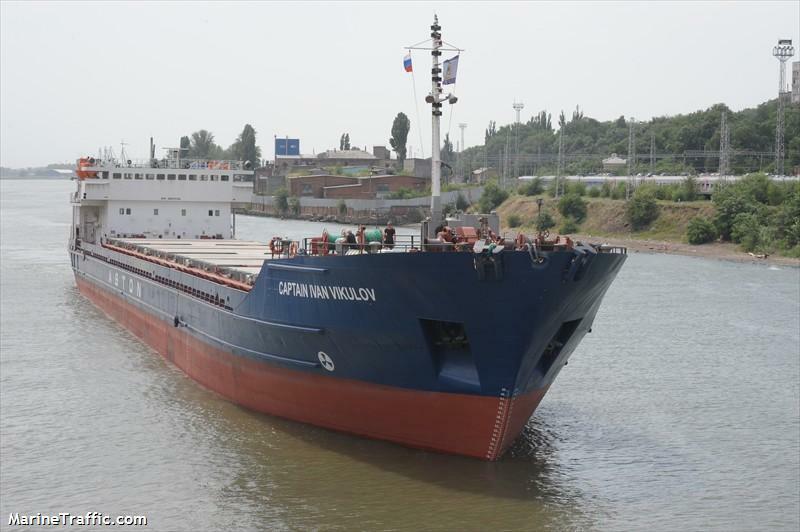 The 140 meter long, dwt 5885 freighter Captain Ivan Vikulov caught fire after an explosion while in the ice in the Azov Sea. The fire quickly spread to other parts of the freighter. 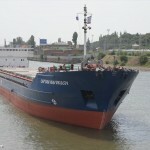 The vessel sent out a distress call to the Ukraine authorities in the Crimea. A helicopter was dispatched to the freighter. The helicopter landed on the freighter deck and evacuated 10 of the 14 crew on board. 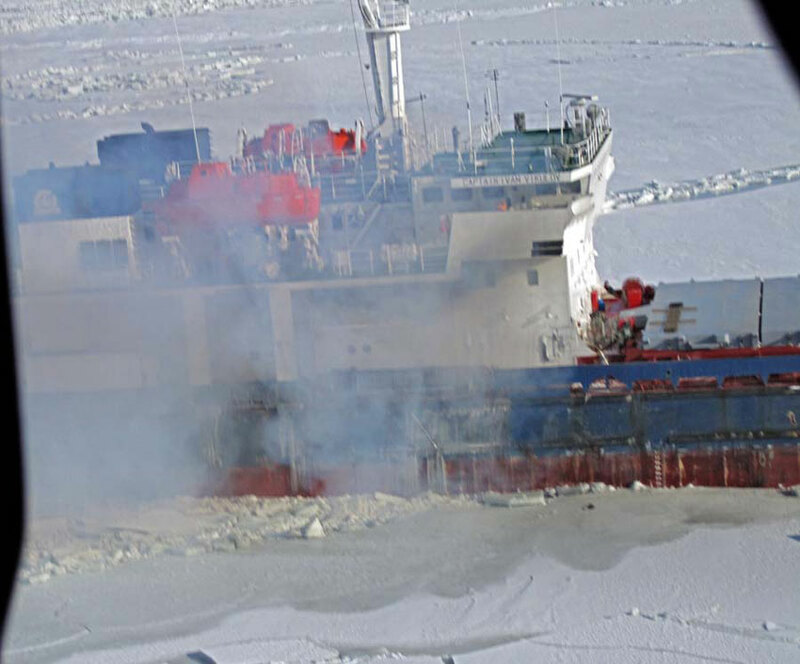 The icebreaker Kapitan Moshkin arrived on scene and was able to establish a towline to the freighter. A few hours later the remaining four men on the Captain Ivan Vikulov were transferred over to the icebreaker as the fire engulfed the vessel. 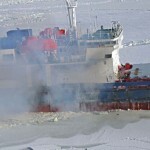 The icebreaker was able to extinguish the blaze and the freighter was placed at anchor off Strilkove, Ukraine. No reports of injuries.